Q: What stops you from acting? A: You! Most of us, in our heads, have a list of “If I had onlies”. These are horrible little things that nag us. If I’d only painted those steps, if I’d only bought those shares when the company was at the bottom, if I’d only … It’s clear we can’t live in a world of regret, but it’s also clear that we often don’t act when we know we should. Regret comes from a combination of inaction and hindsight. But why don’t we act? It’s been shown that we humans tend to default to a mode of conservation of energy, which is another way of saying we will tend to find the least onerous way to do something. Often that means accepting the status quo or outright inaction over changing something or acting. We become action or change averse because it’s simply too much work either to think about of physically do. 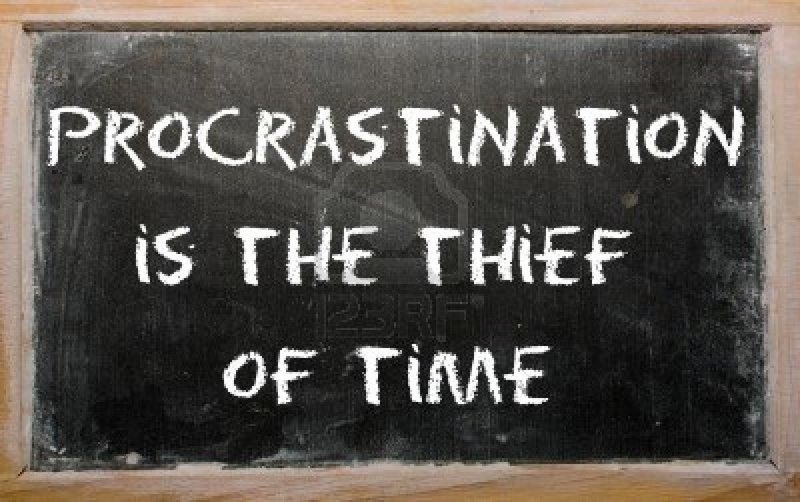 Procrastination, you might say, is a survival mechanism – but one that is working overtime. We need to remind ourselves of the importance of the goals we want to achieve and the things we want to get done. Studies have found that writing down goals makes us as much as 85% more likely to achieve them, which leaves us little hope for achieving things we don’t write down. It’s not hard to see how Personal Kanban helps here. The act of writing something down and adding it to your Personal Kanban, then regularly revisiting the board to see what you could be doing next both reminds us of the task and reinforces our desire to see that it gets done.